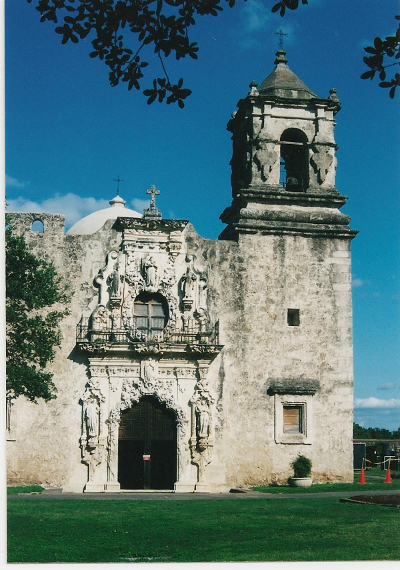 I found some more pictures of San Antonio on my ‘puter. These are so nice, I think my husband must have taken them and I scanned them into my files. I’m serious. 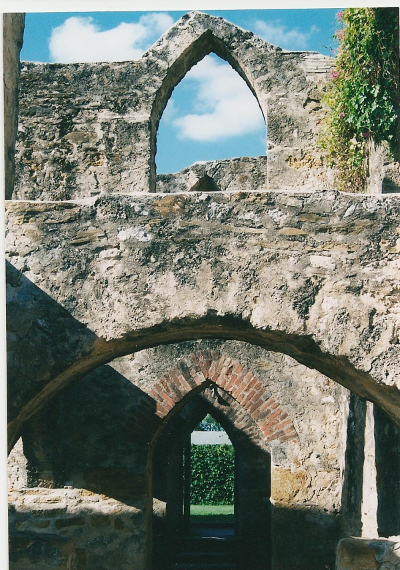 None of these are actual doors, but they’re doorways and arches, and I’ve already established that I consider those close enough for folk music. This post claims — perhaps erroneously — to be part of Norm Frampton’s Thursday Doors link-up. Go to his blog, look at his beautiful pictures, scroll down to the blue frog button, and press it to see the magic happen. DOORS! WONDERFUL DOORS! A WRITING PROMPT FOR YOU: Write about an umbrella. This entry was posted in Thursday Doors. Tagged San Antonio, Texas. Beautiful entrances. One is either really dark, or there is a door there. In any case, I love stuff made of stone, so you’re good ! 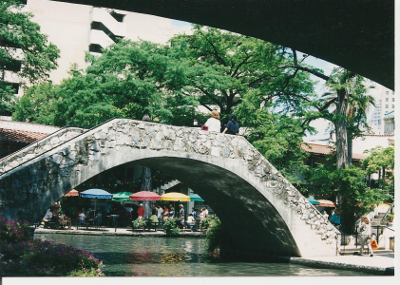 If you ever get a chance to visit San Antonio, DO — it’s amazing! I haven’t been on any doorscursions lately, so I’m scouring around, looking for past pics! Well, Marian, you’re a magician! Got us to focus on all of those fantastic arches and slipped in a pair of doors (the church) while you thought we weren’t looking. 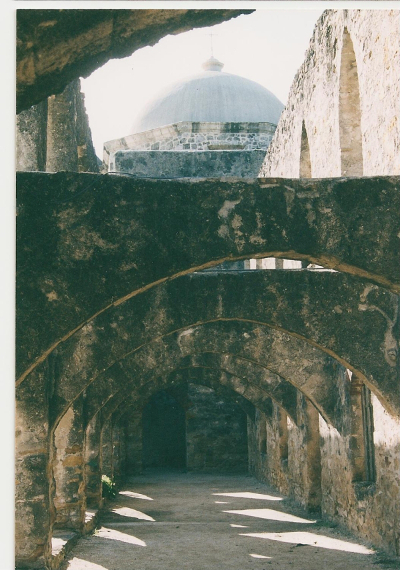 Nice find; wonder what else your ‘puter is hiding… I was at Lackland AFB for 6 weeks basic training in 1969 but never really got to see San Antonio so I missed seeing these arches somehow. Gordon, there is just no telling what my ‘puter is hiding! I know I have some more door photos somewhere, if I can just track ’em down!